You want create a Subway Train Map fast and easy? Use the excellent tool - ConceptDraw DIAGRAM diagramming and vector drawing software. 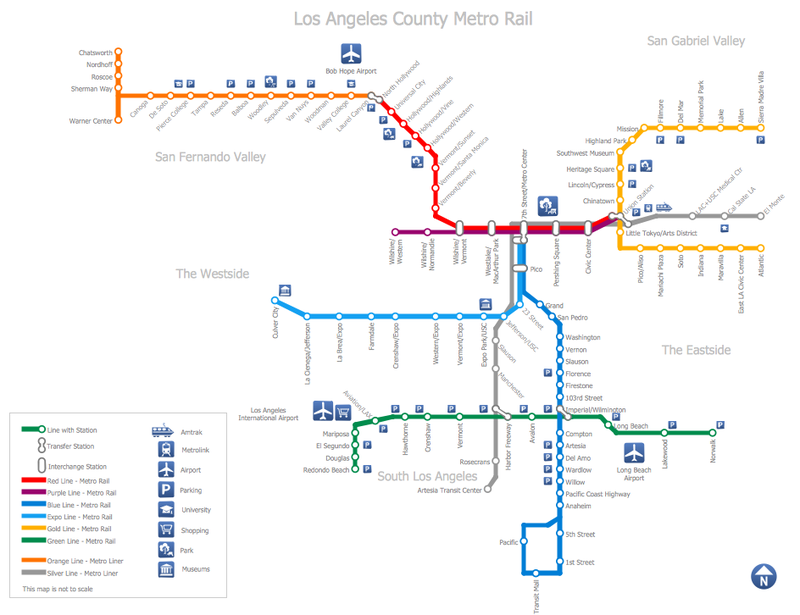 Extended with Metro Map Solution from the Maps Area, it is the best for drawing various types of metro maps. Metro Map Solution includes the Transport Map library with 37 predesigned vector objects, template and wide variety of different samples. We hope you will find the desired for you among them. Transport Map library contains all possible objects for creating Subway Train Map of any complexity without efforts. All what you need is simply drag the desired objects and construct the map from them. The samples you see on this page were created in ConceptDraw DIAGRAM software using the Metro Map solution. 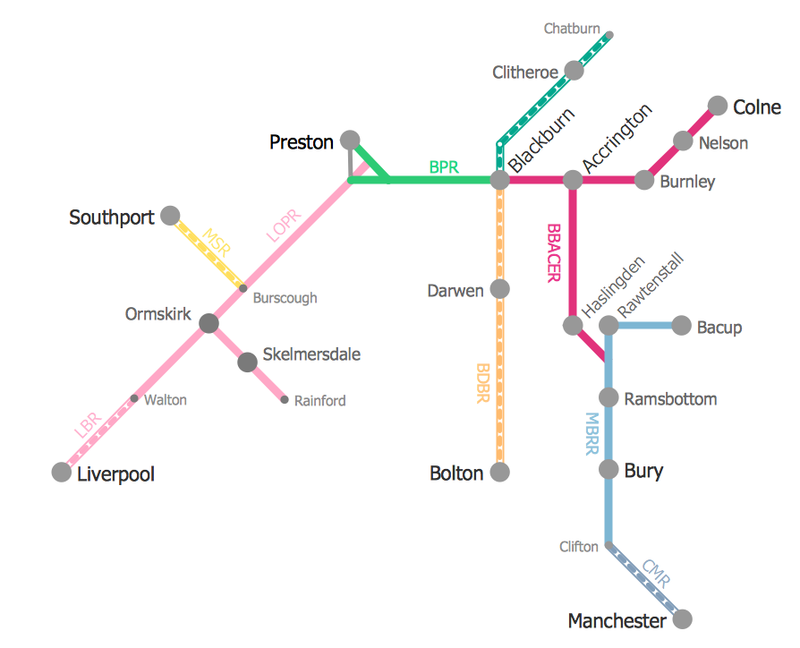 Each Subway Train Map created in ConceptDraw DIAGRAM successfully demonstrates solution's capabilities and professional results you can achieve. An experienced user spent 10-20 minutes creating each of these samples. Use the Metro Map solution for ConceptDraw DIAGRAM software to create your own Subway Train Map of any complexity quick, easy and effective. All source documents are vector graphic documents. They are available for reviewing, modifying, or converting to a variety of formats (PDF file, MS PowerPoint, MS Visio, and many other graphic formats) from the ConceptDraw STORE. 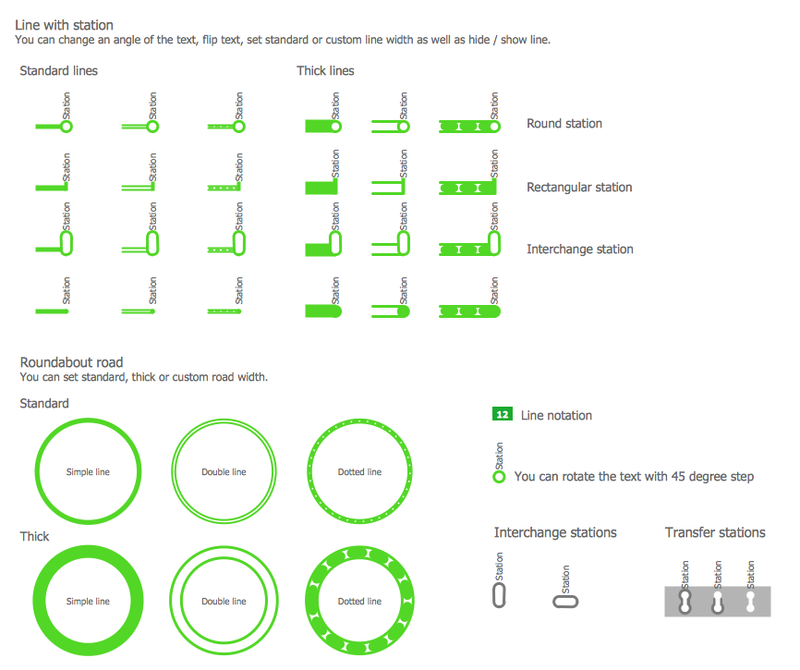 The Metro Map Solution is available for all ConceptDraw DIAGRAM or later users. Germany, officially the Federal Republic of Germany, is a federal parliamentary republic in West-Central Europe. You need design the map of Germany or detailed map of Germany with cities fast and easy? We reccomend you to use the indispensable ConceptDraw DIAGRAM v12 diagramming and vector drawing software extended with unique Germany Map Solution from the Maps Area of ConceptDraw Solution Park.